Spiritual Spirit Mariya - Fortune Telling :: sidetaker. I am a spiritual clairvoyant with natural powers and clairvoyance abilities which helps me to connect with a person and to read his/her mind, I can get intuition about other person feelings and intentions. I need Names and birth signs to get connect with your situation and then directly I will be connected with your situation and help you to come out of your issues. If you are worried about future love life and want to know who your true soul mate is then allow me to read for you and know what your future holds for you and when things will change for good. I will not give you any false hopes or wrong information. Give me a chance and get insight with me and for sure you will be satisfied with service and my spiritual powers. I have been helping people from many years and reunited lovers, if your love or spouse is distance also I can connect with them and let you know if there will be long term relationship and what they really wants from you. I need minimum 8 to 10 minutes to give you precise and detailed reading, if you are low on funds then let me know before so that I can give you follow up reading through email. I can make your relationship strong and healthy and guide you in good direction to get things done easily. So don’t waste your time and contact me now to get insight. I am a Natural born psychic, Bachelor’s degree in Nutrition, Reiki healer. I have been helping people over 14 years in different places and intending to use my energies and spiritual powers to help others to get their love back. 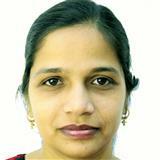 I worked as marketing manager for 5 years in Multinational Company. very good and quick typing skills. She’s very good at picking up on things. a bit slow response, but straight to the point. just wait to see it happen.